EBDA is now available as a part of Google Ad Manager 360! Exchange Bidding Dynamic Allocation (EBDA) feature within Google Ad Manager (GAM) where exchanges and SSPs can bid on a publishers’ inventory, in addition to inventory sourced from the Google Ad Manager’s Ad Exchange (DoubleClick AdX), all within a unified auction inside the platform. Introduced as a response to Header Bidding, EBDA gives new control to publishers to approve and onboard partners within GAM to access their inventory programmatically. 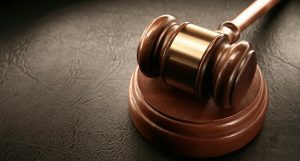 The result is a unified auction on a much evener playing field, with the publisher in the driving seat. The feature is geared towards promoting unified competition for every impression, increasing yield and earned revenue for publisher inventory while reducing a publisher’s workload. 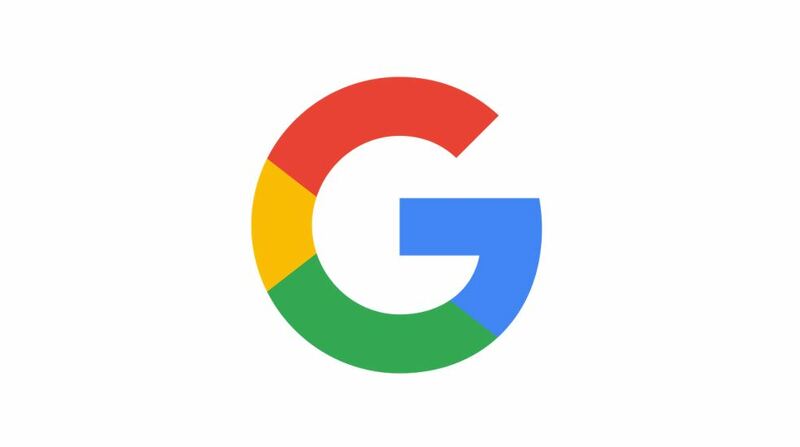 If you would like more information about EBDA or want to hear from us about how Google Ad Manager can benefit your website by increasing your revenue, you can contact us here. Using EBDA the entire flow for the publisher takes place within Google’s infrastructure, with Google handling the auction, reporting, billing and payments. This integrated approach will be a huge financial and operational benefit to publishers since they will not need to wait for payments from each of their demand partners every month. Whereas in the past a publisher would need to wait or even chase for their monthly earnings, Google will now deliver payment to publishers of all of the revenue earned. Additionally, EBDA differs from Header Bidding in that it allows for a direct connection to exchanges through GAM rather than through linkage in a header bidding code on the publisher’s website. This difference alone gives publishers an opportunity to benefit from EBDA by significantly reducing latency caused by calling multiple Demand Sources in the head of the page and complexity within the publisher’s AdServer. EBDA is important because it is the next stage of the industry transforming to fully programmatic. Whereas previously publishers were working with tag-based networks which would compete for an imperfect price against AdX which evolved into Header Bidding, EBDA enables publishers unmatched integration in one platform for bidding in real-time programmatically. EBDA is exclusively available within Google Ad Manager 360, the world’s premier ad serving platform for publishers. Benefit from increased global competition and demand for your inventory. Independently approve and onboard your demand partners directly into EBDA. Reduced load latency and complexity for the partner tags in the page </head>. Reduced complexity in your Ad Server. Simplified auctions, reporting and billing for publishers. Single timely monthly payment for all of your revenue earned. If you would like to begin using Google Ad Manager with EBDA to earn more revenue from every impression, we are ready to partner with you to reach your goals. For over ten years, our unmatched publisher solutions maximize revenue through advanced proprietary optimization technologies, analysis management tools and services. We have extensive experience working with publishers to reach optimal revenue results from primary and other indirect demand sources. We are an official certified reseller and publishing partner of Google and we will provide you with access to Google Ad Manager 360 and EBDA. Expert EBDA management of your inventory through elite optimization and yield management strategies. Complete unification of all of your inventory inside Google Ad Manager 360. More demand than you’re currently working with – OpenX, Index Exchange, Rubicon, Smaato, Sovern, and Pubmatic and more to come. Expert monetization team and resources to support you every step of the way. February is an excellent time to begin asking whether the SSPs connected to your ad units have the potential to earn you the maximum yield for every impression you serve. Collectively we can point to dozens of name brand SSPs that provide sufficient monetization and fill rates for publishers. Our experience working with publishers worldwide tells us that Q4 traditionally features larger budgets and more activity in comparison to Q1, a typically calmer quarter yielding less revenue and advertiser campaigns. Q2 is approaching and with it comes new monetization opportunities. The use of the word working relates less to how much revenue you earned from your ad units in Q1 but instead serves as a means for evaluating the fill rates and eCPM performance of each of your ad units. This concept also relates to your critical evaluation of the quality of ads, response rates and service provided by the platform(s). We have spent the past year researching the best programmatic supply source providers (SSPs), analyzing countless ads arriving from various sources, and interviewing our clients regarding their revenue performance. One thing remained clear throughout: DoubleClick Ad Exchange (AdX) is the best SSP for achieving superior monetization results for your website in 2018. This year we made DoubleClick Ad Exchange (AdX) our top choice for SSP. Owned and operated by Google, AdX outperforms the competition by connecting publishers into the world’s largest exchange of global inventory. AdX is Google’s exclusive programmatic platform featuring Real-Time Bidding (RTB) technology for premium websites to be paired with premium advertisers. AdX pairs buyers and sellers across the industry and works with premium publishers and advertisers in the world’s largest real-time programmatic RTB bidding exchange. The AdX marketplace is connected to ad networks, agencies, and third-party demand-side platforms and powered by advertiser demand, conducted via live auction for the ad units. If you have more than 5M visitors visiting your website per month, then you should strongly consider switching over to AdX. Publishers featuring ad units monetized by AdX expose themselves to the world’s most premium advertisers who are eager to spend significant advertising budgets on widely trafficked sites. Just this difference alone between membership in AdX equates to a substantial financial gain for the publisher who qualifies and begins using AdX. AdX comes with AdWords buyers baked in which brings together the best of both of these worlds into one package. As a result, your website’s premium demand is amplified by the continued competitive presence of AdWords demand in the connected ad units. Also, AdX reaches its full potential when it is enabled to compete with other networks via Google’s ad serving platform – DoubleClick for Publishers (DFP). By utilizing DFP (either Small Business or Premium), publishers can rotate between ad networks for their ad units, also, to directly selling ad space to advertisers, while always striving for 100% fill rates through the real-time competition since added competition for ad units drives the CPMs higher. AdX vs. AdSense – Which one is right for you? With a multitude of demand sources in competition for more of your website’s ad units, more bidders are involved for more ad units and the stridently pushing higher the price of the winning bids for your ad units. In the end, there’s no comparison; publishers make significantly more money by having AdX paired with DFP on their website. Ultimately, if you’re a publisher who is aiming to maximize your advertising revenue and your website has over 5M visitors per month, then graduating to AdX should be your goal. If you would like to join AdX and potentially make more money from your traffic, we can assist your website to maximize its potential with DoubleClick AdX. Contact us today to get started! It brings us great pleasure to present a recent interview we conducted with Sherzod Rizaev, Global Head of Commerical Operations at Minute Media. Total Media has worked as programmatic partners with Mr Rizaev and Minute Media since 2015. Minute Media’s open platform delivers tech-driven content, advertising, and product experiences for global communities, publishers and brands. Its 5 international newsrooms and 4 video studios publish 1000 pieces of original content in 11 languages each day across its three brands (90min, 12UP and DBLTAP) as well to premium publishers and platform partners including Sports Illustrated, Univision, Oath, Time Inc, ProSieben, and EI. We recently asked Mr Rizaev about his thoughts and experiences with Ads.txt and how Minute Media has adjusted and responded thus far to Ads.txt. Why did you decide to add Ads.txt to your website? Have you experienced any issues implementing and setting-up Ads.txt? What has been the impact Ads.txt has had on your business thus far? No, we have not experienced any issues with Ads.txt because we have an excellent development team that have prepared themselves and have covered the set-up and management of the Ads.txt file comprehensively. Have you been approached by 3rd parties who have said that they have a previous relationship with your website yet you do not recognise who they are? Every single day. Every day we receive a few emails from vendors that are saying, “here is our Ads.txt ID, please add it to your Ads.txt file, and you will generate $1M overnight.” We see that particular vendors will send the same email to us every day until we either respond or make a decision about them. In the meantime, we’re not doing anything with these emails. Has the presence of Ads.txt changed your relationship with your approved partners? One of the primary reasons we added Ads.txt was to figure out who we are working with, where is our inventory being exchanged and to identify the vendors that I recognise. Ads.txt allows me to work with my approved vendors directly, to work just with them, rather than these unknown 3rd party vendors who are reaching out to us every day. For example let’s say that network “XYZ” has given us access to six different networks, each of their unique reseller IDs through the relationship. Now, I know that they are taking the impression and applying some tag or programmatic floor to monetise the inventory for us. We’re already working with those partners and we have already seen the inventory on the exchanges. Unless we have the open channels to generate revenue right now and we have agreed on the rates with them, and we have been working with them either on a pass by basis or a header or however we have previously worked with them, we won’t add them to our Ads.txt file. What are your expectations/predictions for Ads.txt going forward? It’s still yet to be seen, but I am optimistic about Ads.txt for 2018. Looking at the industry itself, the types of technologies that we want to employ, the likes of Ads.txt, and partners like Google, we believe that unique technologies that will benefit our website will arrive in the coming year. My prediction is that Ads.txt is going to clear out the 3rd party sellers that have been gaming the system up until now. Ads.txt will force specific companies in the industry to go bust. The business sitting in the middle making money on the buying, selling and arbitrage, they will be the ones that will suffer. Though, it’s only a matter of time before third-parties find a way to trade again in different ways because the impressions are often sold many times over in exchanges. Interview conducted by Brian Blondy, December 2017. First, the choice to add Ads.txt follows Google’s leadership and industry focus on the subject. In addition to working with Google, we also put our inventory on other multiple platforms which follow Google’s lead in the industry. Primarily, an initiative supported by Google or the IAB will always be strongly considered and most likely implemented by our team since Google is one of our website’s primary revenue generators. Second, Ads.txt gives us a better idea of who is monetising our inventory and on which platforms. For example, if I’m working with a network and they are giving me six different network IDs files, I know for sure now how they are monetising my inventory. Through Ads.txt, I see how much unique demand these providers possess. Supporting the Ads.txt initiative is proving to be crucial for us for figuring out how our impressions are being mapped out onto the global exchanges. Third, there are some players on our .txt file that I’ve never heard of, specifically some of the exchanges, especially on the video front. We see this as an opportunity to check all of our vendors and to leave no stone unturned at this stage since video is a primary revenue stream of ours. These three reasons combined: Google’s leadership of the initiative, finding out who is monetising our inventory, and which other opportunities and partners are out there for us to approach directly, convinced us to implement Ads.txt onto our website. Have you experienced any issues implementing and setting-up Ads.txt? What has been the impact Ads.txt has had on your business? As I said earlier, one of the primary reasons we added Ads.txt was to figure out who we are working with, where is our inventory being exchanged and to identify the vendors that I recognise. Ads.txt allows me to work with my approved vendors directly, to work just with them, rather than these unknown 3rd party vendors who are reaching out to us every day. The presence of Ads.txt has helped us to clarify who we are working with. For example let’s say that network XYZ has given us access to six different networks, each of their unique reseller IDs through the relationship. Now, I know that they are taking the impression and applying some tag or programmatic floor to monetise the inventory for us. We’re already working with those partners, and we have already seen the inventory on the exchanges. Now I ask myself, do I need network XYZ? Yes, I believe that we have more control to decide. But that feeling currently leads to the need to conclude whether we want to work with these guys or not because we have more information in which to judge them and their activities. In a conversation that I recently had with the IAB, a particular question kept popping up in my mind, “How many vendors are too many?” Looking forward to January 1, we are already looking to clean out a lot of the happenings within our ecosystem within our control. We primarily want to analyse our system and find the ones that we wish to have our inventory monetised by. We have taken the perspective as we are crafting our Ads.txt list to ask ourselves, how many local partners do we need? How many global partners do we need to serve 80-100M unique visitors? We’re sure that we are going to need a lot of partners to serve our audiences. It might be that we should have partners that are strong in specific local markets versus our global partners that are strong in our top ten markets. As of today, I believe that it is still early to accurately judge the impact Ads.txt has had on our business and revenue. Though we have seen an impact from our third-party publishers that have seen a dip in their income over the last month. For us, we were ready when Ads.txt launched, and we have been fortunate to have not seen a drop in our revenue. It remains to be seen whether this stabilisation of our revenue connects to whether Ads.txt is working or whether there is no connection at all. I think it is a positive development that the system will be cleaned for the benefit of the publisher as well as the advertiser. If Ads.txt works in clearing out the system more efficiently, I believe that it is going to add quick ad returns since our approved vendors who buy from us are responding directly to us with their creatives. In addition to the absence of the arbitrage of our inventory, I believe that Ads.txt will continue to diminish the chances for us to being misrepresented to the advertiser. In the end, we will deliver much better results for advertisers. Today’s post is an overview of interesting and useful content we have recently read about Ads.txt. Being that Ads.txt is a relatively new development in the programmatic industry, we thought you would appreciate a curated roundup of relevant content about Ads.txt in order to get a good overview of what Ads.txt is and how both publishers and advertisers have been adjusting to it over the final months of 2017. If you’re interested in additional Ads.txt content, you can read our November 2017 content roundup here. At Total Media, we have already have an abundance of experience working with premium publishers seeking to maximize their ROI with Ads.txt. 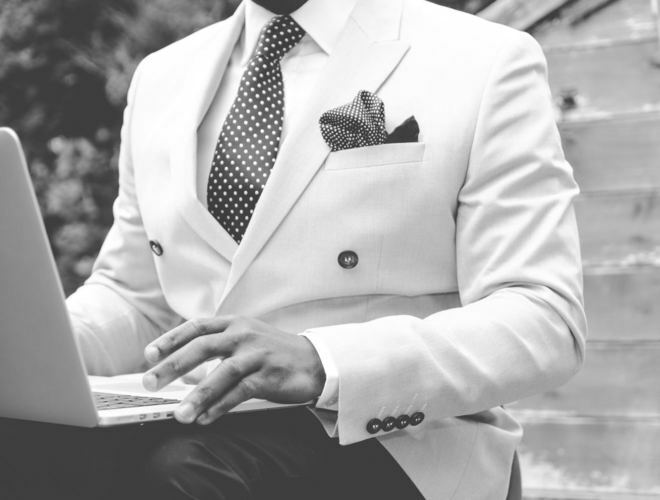 If you would like assistance with Ads.txt, we can help you with everything along the way in addition to providing you with the finest consultation. 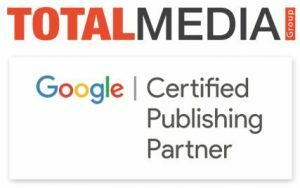 If you would like assistance with Ads.txt you can reach us here or if you would like to join Total Media’s monetization program for premium publishers click here. AppNexus, one of the world’s leading demand platforms, launched a tool designed to assist publishers to ensure that their Ads.txt file has been configured correctly. On the page, users can either will enter their URL or domain or upload their Ads.txt file directly. With Ads.txt continuing to be adopted by the world’s largest publishers, Google bullishly expects that Ads.txt will boost revenue for publishers whom have added the file onto their websites. First reported by The Wall Street Journal on November 30, Google revealed that the average price of ad space purchased via their ad-buying systems has increased throughout November, a change the company attributes to increased advertiser confidence of the inventory after widespread industry adoption of Ads.txt. As of early December 2017, nearly 50% of the world’s top 2,000 websites have already added Ads.txt onto their websites. Since Nov. 8, Google has been actively preventing advertisers from purchasing unauthorized ad impressions on its DSPs which have been identified by Ads.txt. As a result, Google believes that they have significantly reduced the amount of counterfeit inventory in its systems. As more unauthorized inventory is cleaned from its systems and more publishers adopt Ads.txt, Google believes that advertisers should not only increase their confidence in the inventory, but also their budgets for their next ad campaigns. “We would expect prices to increase once we started to cut out unauthorised inventory,” said Pooja Kapoor, Google’s Head of Global Strategy and Programmatic to The Wall Street Journal. According to Google, more than 50% of ad space available for purchase through DoubleClick Bid Manager now comes from publishers using Ads.txt to prevent unauthorized selling of impressions. Powered by the ability to filter out unauthorized inventory, Google believes that increased industry confidence in its DSP makes the inventory more premium and inheritantly more valuable. “Advertisers and agencies may need to pay a little bit more. But if they don’t vote with their dollars then unauthorized selling will continue,” Ms. Kapoor noted. What is Ads.txt and Why is it a Hot Topic Right Now? Developed through the IAB Tech Lab project, ads.txt (Authorized Digital Sellers), is a tool created for publishers to allow for a public declaration of the companies approved to sell their digital inventory. The IAB states on their website that the purpose of the tool is to “increase transparency in the programmatic advertising ecosystem.” Ads.txt aims to give publishers control over the end-to-end distribution of their inventory. The tool strives to eliminate counterfeit inventory (display, video and mobile ad units) from being sold across the ecosystem. As more and more publishers adopt the Ads.txt tool, interested buyers will be in a position to evaluate requests being sent to their buying platform from websites, which in turn aims to raise confidence that the inventory they are seeking to purchase is 100% authentic and non-fraudulent. At Total Media, we have already have an abundance of experience working with premium publishers seeking to maximize their ROI with Ads.txt. If you would like assistance with Ads.txt, we can help you with everything along the way in addition to providing you with the finest premium monetization available for publishers. Click here to register for Total Media’s Ads.txt safe monetization program for premium publishers. Publishers put a file on their server that says exactly which companies they sell their inventory through. The file lists partners by name, but also includes the publisher’s account ID. This is the same ID buyers see in a bid request, which they can use as a key for campaign targeting. Buyers use a web crawler to download all the ads.txt files and the information contained within on a regular basis and use it to target their campaigns. This means buyers know that if they bid on request that comes from an authorized ID, it’s coming from a source the publisher trusts or has control over. The emergence of Ads.txt marks a milestone in the industry and provides empowerment to publishers to take back control of who represents their inventory and brand. According to the recent article published Ad Ops Insider, adoption of Ads.txt by publishers is growing quickly in 2017. Through a self-created web crawler in Python, Kneen was able to deduce from a pool of 1,930 domains from the top 10,000 websites ranked on Alexa that approx. 13% of these publishers ranked in the top 10,000 websites listed on Alexa globally are publishing a Ads.txt file, including ESPN.com, WashingtonPost.com and CNN.com. Kneen breaks down the types of publishers that are publishing files and their most common partners (Google is tops, unsurprisingly), and makes recommendations for how to improve on the Ads.txt concept. The fight against fraud in the ecosystem appears be heating up as publisher adoption of the tool is increasing. Though only time will time how the ecosystem will look once both the Sell and Buy side integrate it into their products and processes. How to Make $20,000 from One Ad Unit! In our experience, creating a website is simple. Either you build it yourself through a clever pre-built template from companies such as Wix or Squarespace or you can hire a web designer to create something that suits your needs. The end result is often a difficult project with limited experience. Though where things get really tough is building up a loyal user base that will drive revenue from your sites’ traffic monetization. After working with publishers of all sizes across the world, we’ve come to understand that what helps publishers achieve an effective monetization strategy, and subsequent revenue flow, is building visitor base through consistent and persistent content creation and publishing. Without a frequent stream of original published content, your site will not attract and retain enough visitors to monetize. The goal of this post is to underscore the importance of using your published content to push your website to new levels of financial success. The planning, execution and evaluation of your content strategy will influence the eventual success of your monetization strategy. In this article we will dive into why content is the core driver of web traffic and how increasing your web traffic from unique content will be the primary catalyst for your website’s monetization growth. If the idea of earning $20,000 USD or more per year from one ad unit on your website is your goal, read on so you know how to begin planning and executing the necessary steps and understandings to reach your financial goals with your website. It is our belief that content is the gasoline that drives your financial growth in the long term. 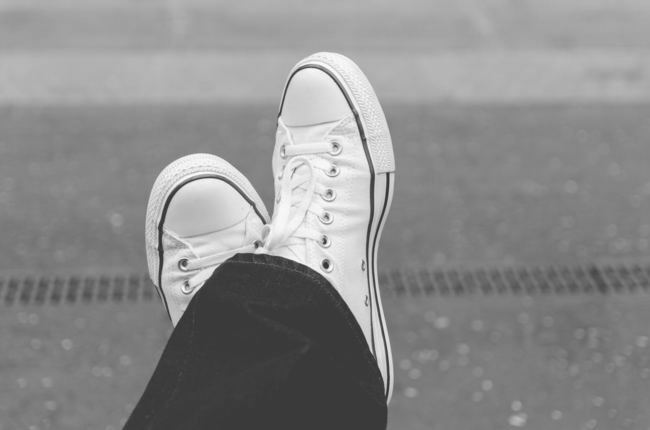 The decision to embrace a content-first strategy reflects an effort to have your content be at the center of everything you do and how your company/website aims to attract new customers/readers. Everything your website represents will be displayed through your content and subsequently, will be amplified to attract visitors to your website that will view and potentially click on your ad units. The more updated and interesting your content, the more visitors will come to your website, and the more valuable your CPM prices will be for purchase via direct sales and through programmatic markets. Useful to explaining, solving or demystifying a challenging or popular/interesting topic. Creating content for your business is a large part of an effective marketing strategy for attracting your target audience. The central goal of good content creation should be to publish posts which fulfil the needs and interests of your current and ideal readers/customers. 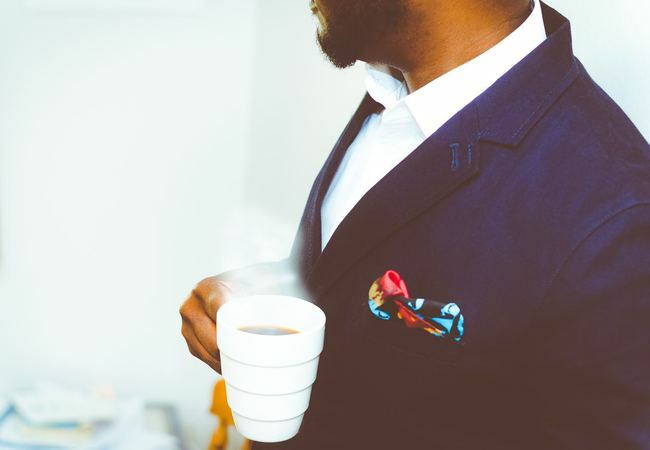 Through your content your company will have an excellent opportunity to connect with interested individuals whom are seeking influencers to enrich their interests and potential business needs. The trick is to finely tune your content marketing strategy in order to build out a plan of content which is specific and repeatedly clustered around particular subject areas. The core benefits here would be to publish on a consistent schedule and to begin being categorized by Google’s search result algorithms as an influential and focused publisher for user search results. Google will eventually pick up on your content’s subject consistency and begin aggregating your posts in search results relative to your content’s topical focus. If you achieve this, you have a winning content creation strategy. Once you have the content strategy in place, now you have to think about the monetization strategy. There are a number of ways that you can monetize your website. It is obvious that first you must define the appropriate ad slots on your pages, decide which areas will be sold at a premium rate and which ad slots can be secondary for lower prices. Your monetization strategy will most likely be a combination of direct and indirect selling. For the sake of this content, we will focus on the indirect channels method, specifically, through Google AdSense or DoubleClick AdExchange. When going indirect, you must keep in mind the platform policies of monetizing your content through various platforms. Each platform allows certain ratio of ad units placed on your pages vs the content around it. Google for example, requires over 50% content on the page. In addition, one must take note of ad placement policies of each platform which will determine the success of your monetization strategy as well. Earning $20,000 a Year Starts from an Ad Unit Yielding $55 a Day! 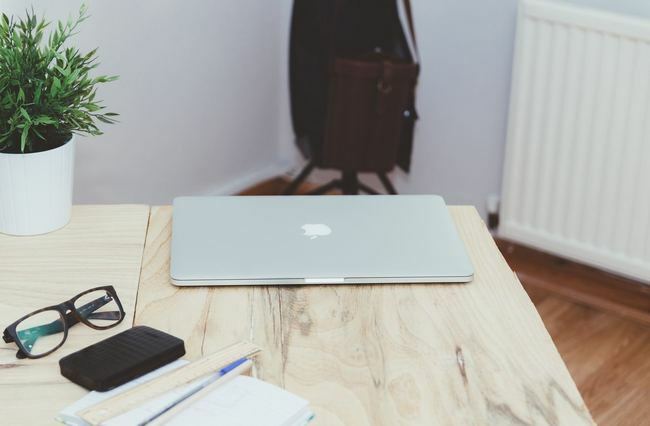 Let’s say that you have gotten your content strategy and monetization strategy all lined up. What would you specifically need to do to reach $20K from one Ad Unit through indirect/programmatic channels? What should be your expectations? First, we should break down the bigger goal into smaller goals. So if the number you are going for is $20K/year, what would it be on a daily basis? There is one additional parameter that you should track, and that is how many pages your visitors view per each visit – # of pageviews. Let’s say that your website has 220 pages, each of which features one ad-unit of ADX, for you an average Cost per Mil (CPM) of $0.25. In addition, your visitors visit on average 2 articles per each visit – 2 pageview per visit. With the above in mind, in order for you to reach your daily goal of $55, you would need to generate 220K impressions per day to your website. This translates to 110K visits per day at 2 pages visited per user. Now, you may think that it sounds like a pretty big number. You may wonder how you drive 110,000 visitors to your site on daily basis. The good news is, that by altering any of the components of the above equation, you are able to achieve your goals quicker and easier. It should be pointed out that the CPM rate of your website ad units will fluctuate based on your core topics and the geographic location of your visitor traffic. If a majority of your visitors are from a tier-one markets (North America, Western Europe, etc.) and your website’s content is featured in a competitive vertical, it’s likely that your CPM would be higher than featured in this example. Let’s look into what happens when your CPM rate is increased from $0.25 to $0.40 through good traffic, intelligent content and expert ad optimization. Keeping the 2 page view average per visit, you will be able to achieve your goal with just 69,000 visitors per day. This is an interesting example because it shows that with just a small $0.15 increase in average CPM, from $0.25 to $0.40, you will arrive to your goal much faster and with fewer visitors. Consequently, you will earn much higher monthly revenue if your visitor base remains the same as in the original example, 110K. Within this scenario, your site will earn a massive 160% increase in profit because the $0.15 bump will reward your site with an additional $12,000 USD annually from the consistent stream of visitors that you’re already been receiving. The beauty in this is that the same traffic, arriving at a 60% increase in price per CPM, would be $12,000 USD more profitable, compounded and advantageous for your financial goals. We would like to advice you to diversify your monetization sources. Publishers are not limited to only using AdSense on their website. You are free to add new monetization channels in parallel within your monetization strategy! By adding additional channels of monetization or re-organizing/optimizing your ad stack into your ad waterfall, your goal of making $20,000 a year from an ad unit can be easily overachieved due to additional monetization revenue. Furthermore, with the push to produce more content (hopefully you’re already thinking about adding unique video content as well) on your website, matched with the monetized posts with direct and organic site traffic, your revenue growth will be compounded with every impression that occurs on every one of your website’s pieces of content. While at first it may feel like taking a deep dive into the unknown with so many intriguing options available to publishers, we completely appreciate that adding new monetization solutions to your website is not a straightforward and simple process. Regardless, you shouldn’t be hesitant to press forward and try to do whatever you can to improve your monthly revenue. Your website should be a vehicle for making money and we’re here to assist you along the way to amplify your monthly ad revenue. Regardless of the size of your website or your current CPM rate, Total Media can enable your website to add all of these effective monetization streams to your website and then expertly manage all of the complex optimization thereafter. We hope the writing of this post has assisted you to better understand the benefits of looking into the ways to increase website traffic from content and how to view the ways it is possible to increase the revenue you can earn from your traffic. We hope that we have empowered you with valuable information which may make your website’s revenue potential more viable than it is today. Google has updated its publisher conduct policy to consider violations of its content policy at a page level rather than at a site level. Now Google will only disable monetization on individually non-compliant webpages, rather than the entirety of a publisher’s Google AdSense or DoubleClick AdX account, when the content policy is violated. The policy pivot aims to improve Google’s ability to administer selective enforcement on content and readiness to deliver transparent notification of its policy violations to publishers. Previously, when an AdSense or AdX violation had occurred, publishers had their AdSense and/or AdX website monetization account paused until the violation was corrected, often to the dismay of publishers, without specificity, the precise violation and where it that had taken place on the website. The publisher had to select which of his pages were appropriate to send through to Google to monetize, either through their CMS or through some other system. However this is costly and requires lots of resources from the publisher. Through transparency and clarity upon occurrence, AdSense publishers will now receive email notification when website content is non-compliant. In addition, publishers can visit to a “policy center” to investigate the exact cause of the violation along with compliance recommendations for AdSense restitution onto the page. Ben Erdos, VP of Platforms and Services at Total Media said that the changes are sure to be welcomed by publishers everywhere. “The policy center should also reduce the time it takes for publishers to resolve any site wide issues as well,” said Erdos. Comparatively, publishers using AdX will also receive violation notification email with more details. A policy center for AdX is also in the works. For more information about the AdSense program policies and what constitutes prohibited content, visit the Google AdSense program website here. 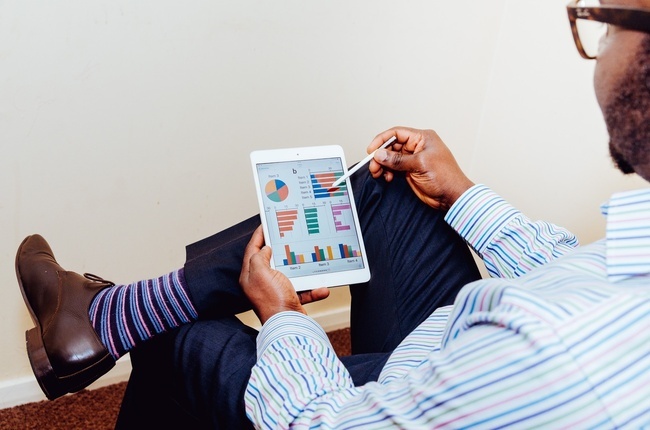 5 Ways to Boost Your Website Monetization! If you’re a publisher and you’ve been thinking aloud that you’re not making enough money from your website, then you’re definitely experiencing a very common reality among publishers of all sizes. The decision to take action to improve your revenue could be the most essential step you can make towards strengthening your website’s profitability and future-proofing your digital portfolio for years to come. Today we will expose some of the most beneficial options for generating significant financial returns for your website, specifically, by optimizing your display, mobile ad units through preferred deals and private auctions, choosing between Google AdX and Google AdSense, and lastly, adding video monetization in order to earn significant CPMs. We believe that website monetization is an essential financial lifeline and is the most important aspect to focus on for increasing website revenue. Since there are so many ways to improve your revenue, let’s get started! These days we see the struggle publishers face in striving to keep pace with all of the new programmatic advancements emerging in the marketplace. Both publishers and advertisers are navigating frequent and ever-changing technologies constantly emerging in the programmatic industry. There is no doubt that there is a lot to know and a lot to do whether it’s simply optimizing an ad stack, exposing inventory on strategic display and mobile ad networks or working with an expert optimization specialist like Total Media. For publishers committed to programmatic on both display and mobile, it is essential to be up-to-date in order to create the highest value for themselves and their advertisers. In particular, two of the most beneficial programmatic technologies currently available are preferred deals and private auctions. Preferred Deals allow individual buyers to negotiate fixed-price, first-look deals with sellers. The CPM is generally higher than regular programmatic and on par with direct sales because advertisers are seeking impressions based on the specific data available or gathered by the advertiser previously. Preferred deals are based on direct agreements between publishers and advertisers where generally advertisers approach the publishers about specific ad sizes, placements and audiences and the two parties negotiate a specific fixed price for the impressions amongst themselves. What’s unique about preferred deals is that they are executed programmatically. Whereas once advertisers would simply send publishers an ad tag which would link to the allocated ad placement, now the entire execution runs through DSPs and SSPs (e.g. DoubleClick AdX & DoubleClick Bid Manager), where a deal ID get things moving along. Private auctions are programmatic deals that allow publishers to create a higher-priority auction available only to white-listed buyers of their choosing for specific inventory the publisher desires to make available. One such SSP allowing private auctions is DoubleClick Ad Exchange (AdX) by Google, which when setup through DoubleClick for Publishers (DFP) delivers the best results for publishers. Any advertiser interested in participating in a private auction is recommended to be using a DSP (such as DoubleClick Bid Manager). Within the private auction, publishers establish a specific floor price with the chosen advertisers and lets this small group of buyers compete in an exclusive, private programmatic marketplace auction. The floor price, in general, is higher than that of the open marketplace, so the buyers can pick and choose the premium impressions that they would like to bid on based on certain known parameters beforehand. In recent years, featuring monetized video content on a website has become an important avenue for publishers to consider within their monetization plans. Video content is a highly effective method for both engaging website visitors as well as providing the ever-growing pool of advertisers a means for running video programmatic advertising campaigns. While many publishers jump right in and adopt video, most have chosen not to, whether due to lack of video content, site layout or even due to knowledge how to implement the technology in the correct manner. The decision to not feature video could be a strategic mistake for publishers. Video is increasingly proving to be the best way for publishers to increase their current revenue stream through opening themselves up to receiving significantly higher CPMs as compared to display advertising. This is due to the fact that advertisers are continuing to adopt video advertising as an essential method for delivering their message and are willing to pay premium prices for interested and longer engaged audiences. As the standard monetization default for websites, AdSense is the world’s largest contextual ad network enabling online publishers of any size to monetize their website and mobile assets. AdSense includes ads displayed in search engine results, Google products and on the Google Display Network (GDN). AdSense serves high fill rates, with almost unlimited demand. It offers fast and reliable payment in most regions and the security of working with Google. Whether you have recently added or you have been using AdSense on your website for years already, the essential question to ask yourself is whether you are making enough money with Google AdSense. We are constantly hearing from our clients that are only using AdSense on their website and are apprehensive to move on from it despite being dissatisfied by the revenue it is generating. We agree that AdSense is a great option for growing publishers and we understand the concern they express when discussing whether or not to drop AdSense for another monetization solution. Conversely, there are additional methods for optimizing ad units in addition to various monetization solutions that a publisher could add that would open up excellent possibilities to further monetize their current traffic and grow revenue exponentially through strategically placed ad units and expert ad unit optimization. DoubleClick Ad Exchange (AdX) is Google’s programmatic platform featuring Real Time Bidding (RTB) technology for premium websites to be paired with premium advertisers. AdX pairs buyers and sellers across the industry and works with premium publishers and advertisers in the world’s largest real-time programmatic RTB bidding exchange. Connected to ad networks, agencies, and third-party demand-side platforms, the AdX marketplace is driven by advertiser demand, conducted via live auction for the ad units. If you have more than 5M visitors on your website per month, then you can and absolutely should switch over to AdX. Publishers featuring AdX on their websites are exposed to the world’s most premium advertisers who are eager to spend significant advertising budgets on sites that are widely trafficked. Just this difference alone between membership in AdSense and/or AdX equates into a significant financial gain for the publisher who qualifies and begins using AdX. In addition, AdX reaches its full potential when it is enabled to compete with other networks via Google’s ad serving platform – DoubleClick for Publishers (DFP). By utilizing DFP (either Small Business or Premium), publishers can rotate between ad networks for their ad units in addition to directly selling ad space to advertisers, while always striving for 100% fill rates through the real-time competition since added competition for ad units drives the CPMs higher. With a multitude of demand sources in competition for more of your website’s ad units (5 instead of AdSense’s 3), more bidders are involved for more ad units and the stridently pushing higher the price of the winning bids for your ad units. In the end, there’s no comparison, publishers make significantly more money by having AdX paired with DFP on their website. If you would like to join AdX and potentially make more money from your traffic, Total Media can assist you in making this happen and putting your website on the path to maximizing your financial yield from advertising. Though if your website doesn’t have millions of impressions per month, chances are that you have already added AdSense to your website as one of your first decisions for monetizing your website. While at first it may feel like taking a deep dive into the unknown with so many intriguing options available to publishers, we completely appreciate that adding new monetization solutions to your website is not a straightforward and simple process. Regardless, you shouldn’t be hesitant to press forward and try to improve your monthly revenue. Your website should be a vehicle for making money and we’re here to assist you along the way to amplify your monthly ad revenue. Regardless of the size of your website, Total Media can enable your website to add all of these effective monetization streams to your website and then handling all of the complex optimization thereafter. We hope the writing of this post has assisted you to better understand the programmatic landscape and it has empowered you with information to make you more website revenue than you are earning today. In 2016, Google aggressively policed its ad ecosystem, DoubleClick ADX, by identifying and blocking 1.7 billion ads that violated its advertiser policies. Google has sought to clear any and all ads which demonstrated intent to deliberately deceive users, contained malware or redirected users to 3rd party app stores. The blocking of nearly two billion ads effectively doubled the amount of flagged violations Google handed out compared in comparison to 2015. 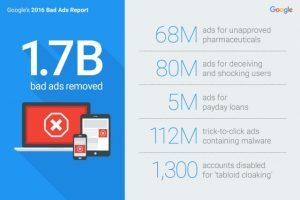 Announced in a self-published report outlining its push to purge non-compliant ads from ADX, Google disclosed that they have stopped 80 million deceptive ads, 112 million malware ads and 68 million ads for unapproved pharmaceuticals. In addition, 7 million ads attempted to outsmart Google’s detection system and 23,000 mobile advertisements used redirects to a third-party app store. In the fight to maintain a standard of ad quality, Google has had to adapt and constantly improve its ability to identify malicious advertising which often goes undetected by Google due to geo-targeting, dayparting and network targeting. Ben Erdos, VP Platforms & Services at Total Media, commented that bad creatives have far reaching effects throughout the internet beyond breaking Google’s rules for the ecosystem. “Malvertising is a threat to users because it erodes faith in the advertisement itself and it is a threat to the user’s technology, their identity, and their hardware. Specifically, it can download spamware, ransomware, and malware. Such occurrences create enormous risk throughout to the lowest scale to users, in addition to draining bandwidth, and data plans later on,” said Erdos. As gatekeeper of its own buy-side and sell-side platforms, Google stands to benefit from aggressively pursuing non-compliant advertisements on the buy-side to maintain publisher confidence that the delivered ads are of the highest quality. Though despite Google’s best efforts to combat bad advertisements, the industry operates mainly through tags and that any nefarious party can manipulate the ADX auditing systems by rotating in bad adverts within already approved adverts, thereby modifying the ad rotation after the fact. Ad fraud happens when Google’s automatic auditing process eventually approves acceptable advertisements for ADX and then an advertiser decides to add in new third-party tags on their own ad server into the already approved creatives. Google’s interest to push advertisers to adhere to their policies within the ADX ecosystem provides publishers and advertisers a high level of certainty and trust that the ecosystem is solid and a safe environment for all. Though the reality is that the chances of stopping more fraudulent advertisements would amount to an extraordinary amount of additional measures and resources throughout the auditing process for Google, whom are already doing an exceptional effort as compared to their industry counterparts. Additionally, a bad advertisement is most often flagged through an SSP rather than from publishers themselves reporting a malicious advertisement. As per usual, AdX will stop the bad ad before it is published or is running for a significant amount of time. Publishers need not worry if they see a bad advertisement published on their website. As a first step, a publisher can send an ad’s click-through URL to the AdChoices program in order to work with the website’s official Google contact to report and address the issue. In our experience, once a bad advertisement is reported, Google will take swift action to take down the advertisement. If you require your company is looking for advertising solutions for maximizing your marketing activities such as DoubleClick Bid Manager (DBM), DoubleClick Campaign Manager (DCM) or DoubleClick Search (DS), you can send us a message here.